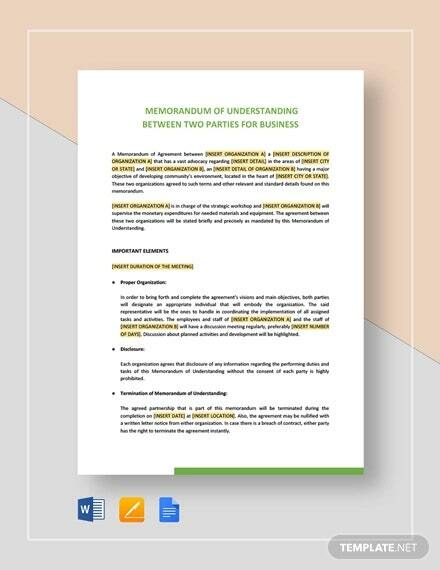 For companies, corporations, organizations and even individuals who have to deal with other similar institutions, the memorandum of understanding templates are a great help and they are available for free and premium download. 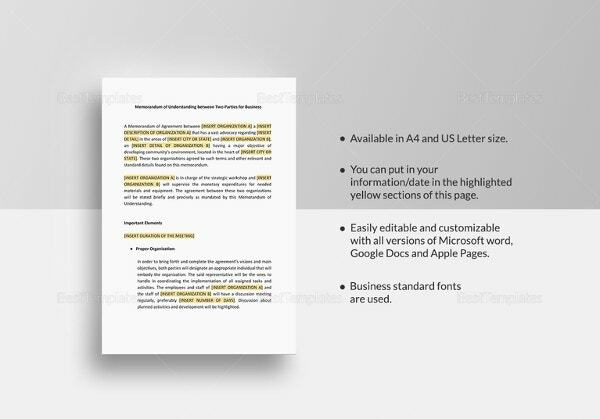 Using the top memo template word you can get pre-designed, well structured and readily formatted templates which can make your job much easier. 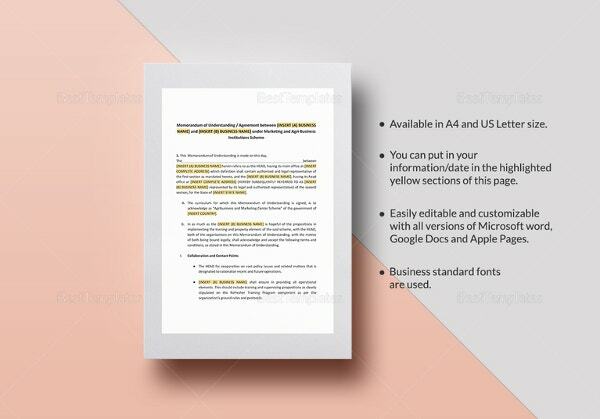 You may also see Sample Memo Templates. 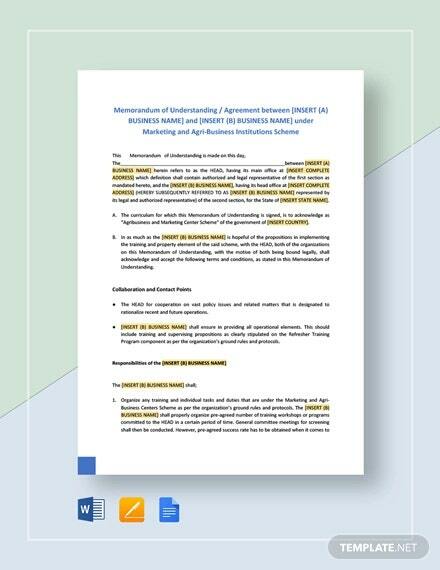 Search and get the memorandum of an understanding sample for a variety of purposes on the internet and no matter whether it is a merger, pact, deal or any other official thing, you can get the exact template for that purpose. 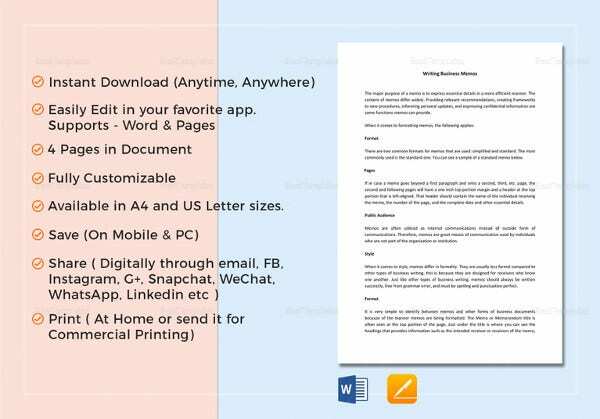 You may also see Business Memo Template. 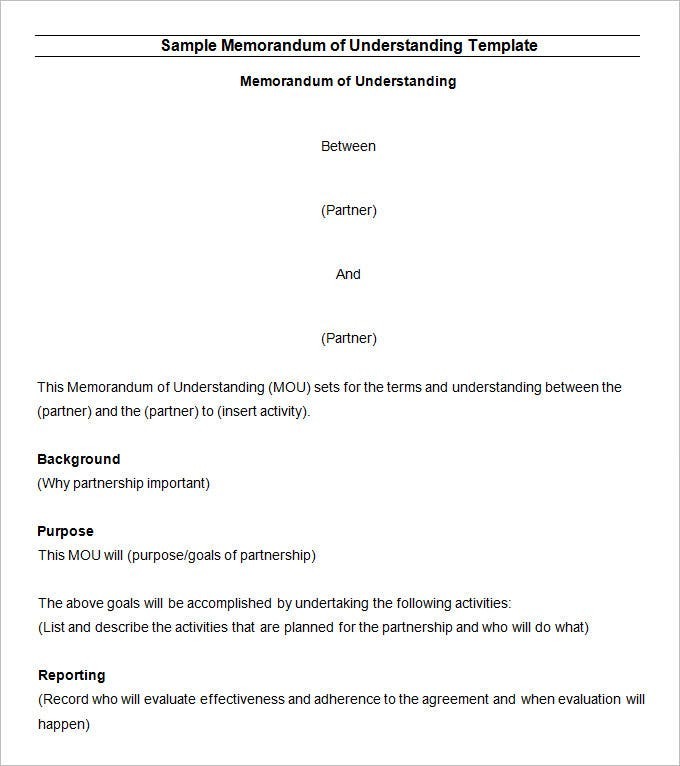 All that is required is for you to simply fill in your own terms and content and then take a print for the ready memorandum of understanding and then simply sign on it to make it absolutely legit. 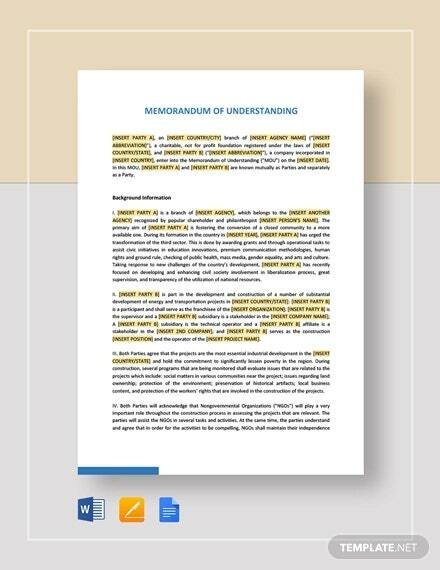 If you want to consult the memorandum of understanding draft to make a perfect memorandum of understanding easily and to frame every word and terms according to the type of deal being done with Memo Template, you can do that too since suggestions are already provided. 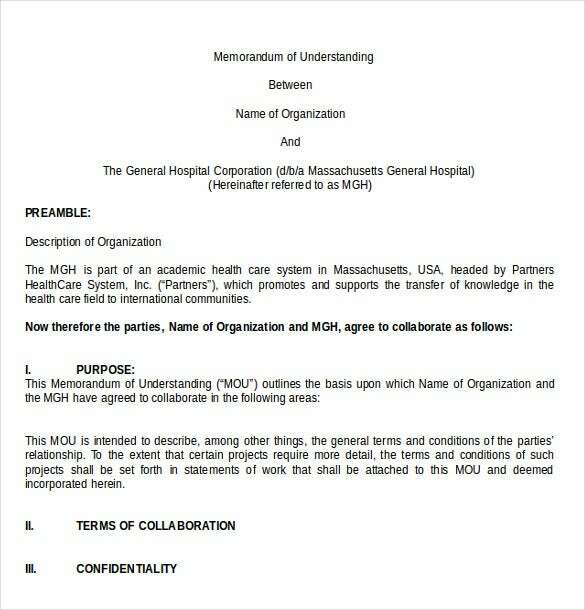 massgeneralcenterforglobalhealth.org | This memo of understanding would be perfect for a company planning to hand over a memorandum to an employee. You could follow the format in the template and even add your own details in there. 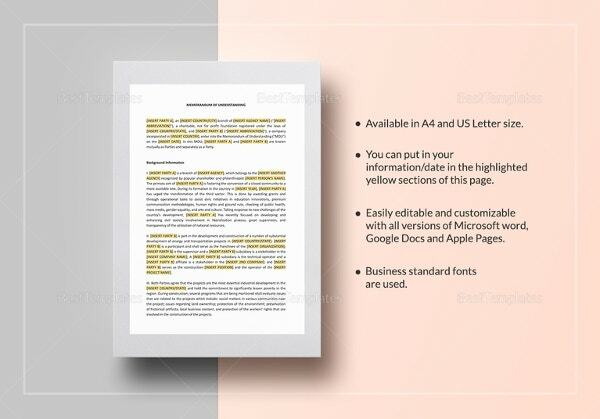 my.liuc.it | This template consists of all essential details that a memo should be having. 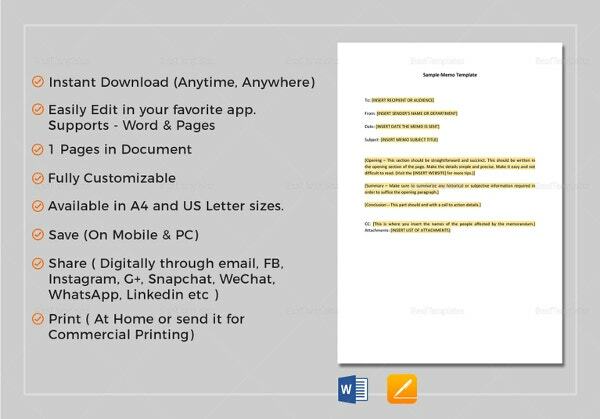 Apart from the details like date and contact details, you can even add a subject and some notes at the bottom. That is sure to be appreciated by the person receiving the memo. 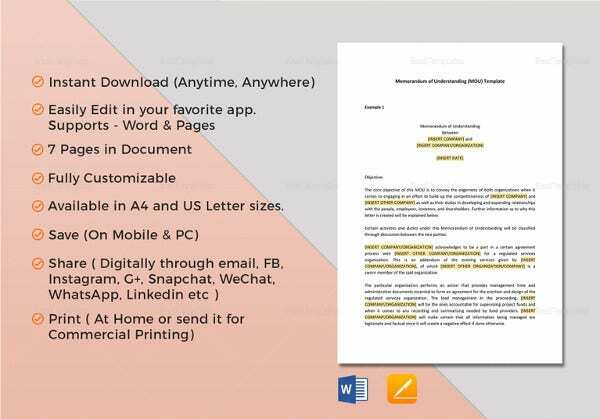 improvingchroniccare.org | All memos are accompanied by a cover letter which contains important information about the memo itself. 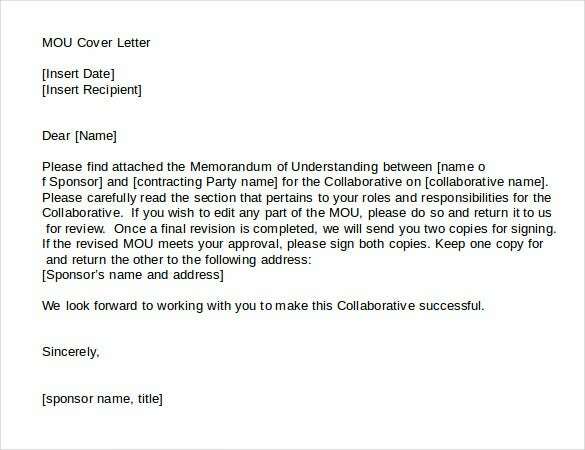 So if you’re indeed planning to create a memo, you must be able to send a cover letter along. For that, you can use this template. 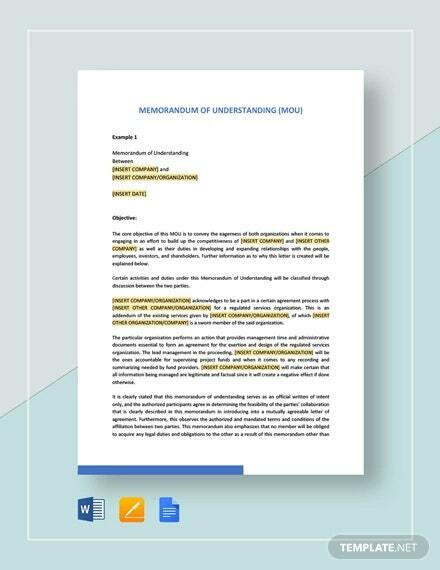 rotary.org | A memo of understanding must be formal in tone and have a professional strain throughout. 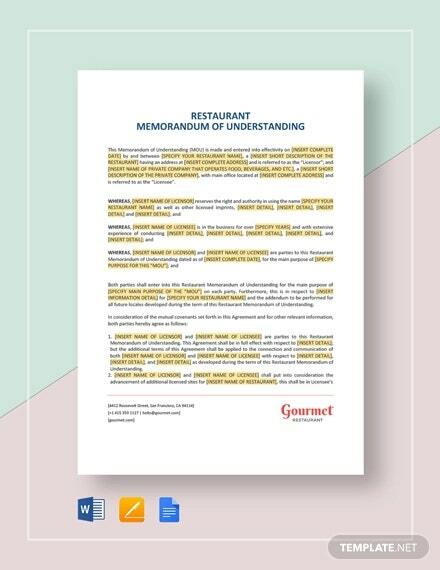 All the important details of this memo of understanding template have been included under separate subheadings in bold. That makes it all the more attractive. 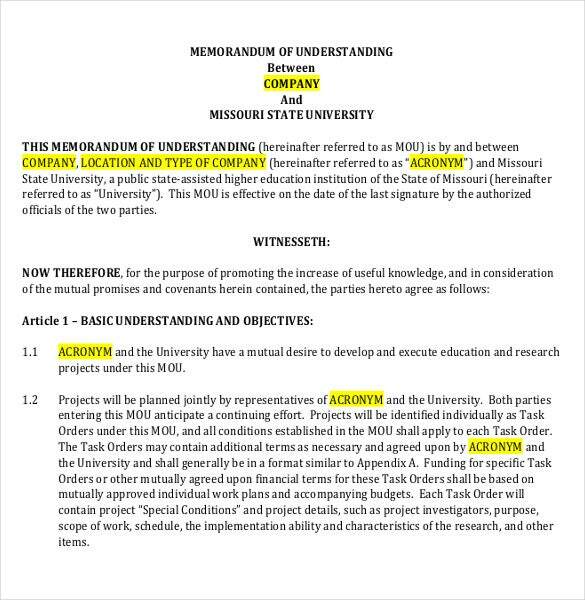 missouristate.edu | Often companies and universities have to enter into a kind of understanding with each other. 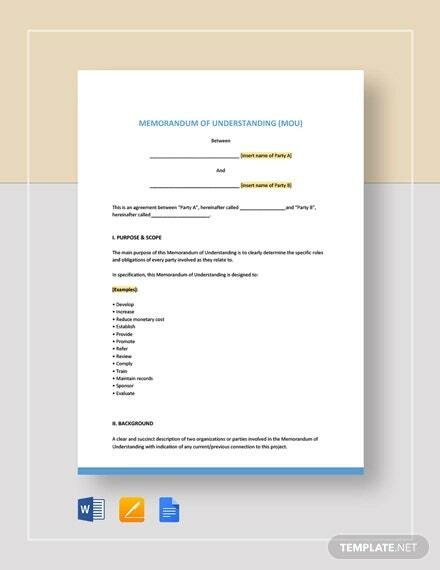 If you’re finding yourself in such a situation, you could make use of this template to create the memorandum. 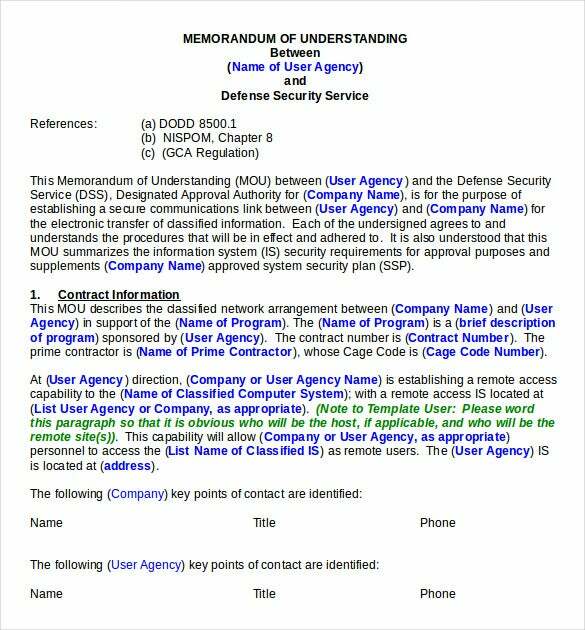 dss.mil | A memo of understanding is a must between two or more agencies. It must be detailed and well designed. 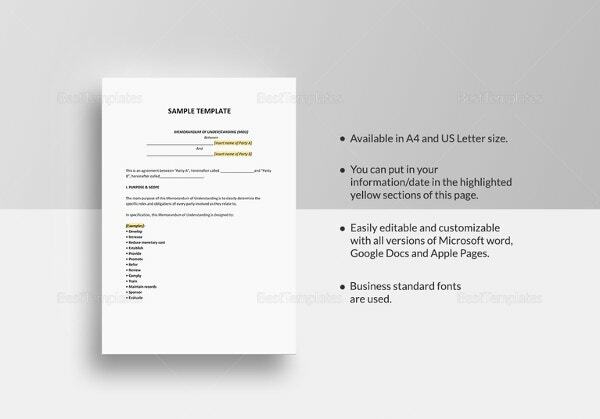 That is precisely why you need to look up this template; it has a neat and clutter free design which would be appreciated by most. All companies have partners, don’t they? 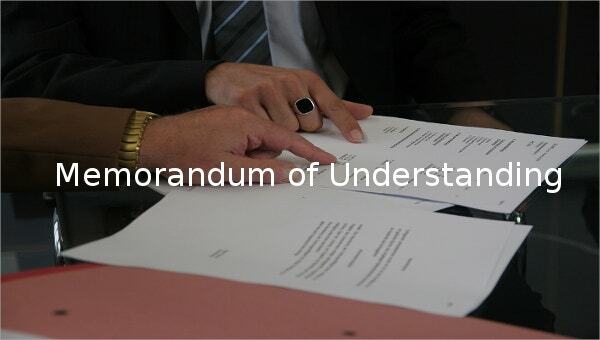 It is expected that there should be a level of understanding and harmony between these partners. 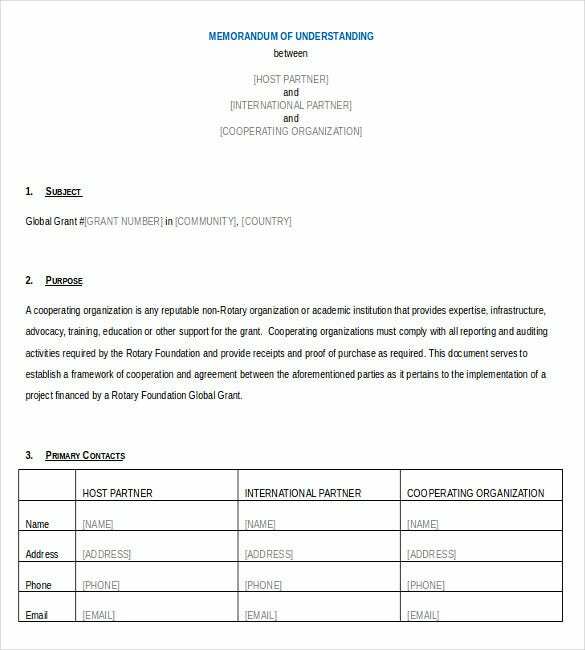 For such a memo from one partner to another, this template would be the right fit. 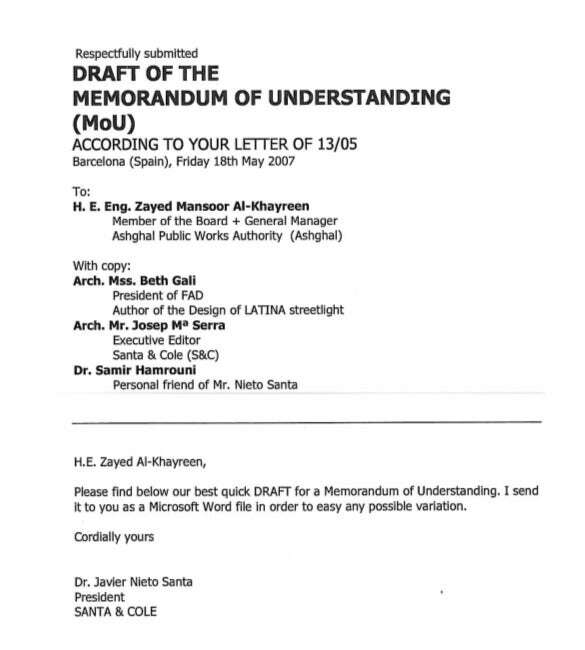 The most important part about a memo of understanding is the format. If that’s what you’re worried about, this template is for you. 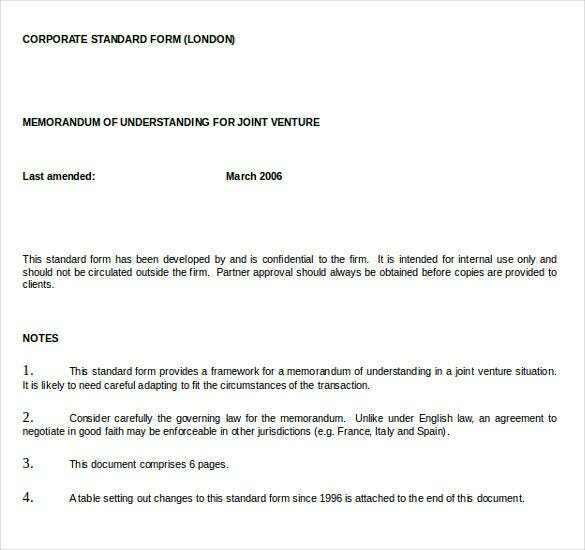 The format has been provided for you already, just fill in the blanks and edit the details to get your very own memo.